More than one hundred years ago, when Hanoi is the main hub to Indochina, the city had welcomed luxury travelers from around the world. Since then, after undergoing lots of ups and downs, Hanoi remains as a premier destination in the region. Because of that, there are lots of luxury hotels located around the city, catering not just travelers but also public figures, world-renowned artists and politicians. Let’s take a look at the top 4 luxury hotels in Hanoi. 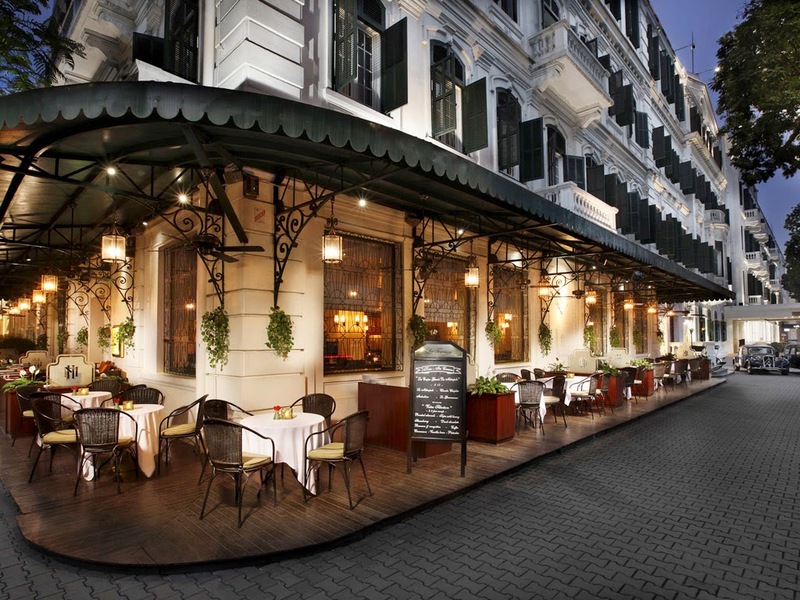 The first hotel to be established in Hanoi remains the most outstanding today. For more than a century, this French style urban oasis has been setting the standard for how “top-notch luxury service” should be. Along with The Nam Hai in Hoi An and Park Hyatt in Saigon, Sofitel Metropole Hanoi is widely considered as one of the 3 best hotels and resorts in Vietnam. Its legendary legacy is justified by the past visits of the former French President Jacques Chirac or the iconic comedian Charles Chaplin. 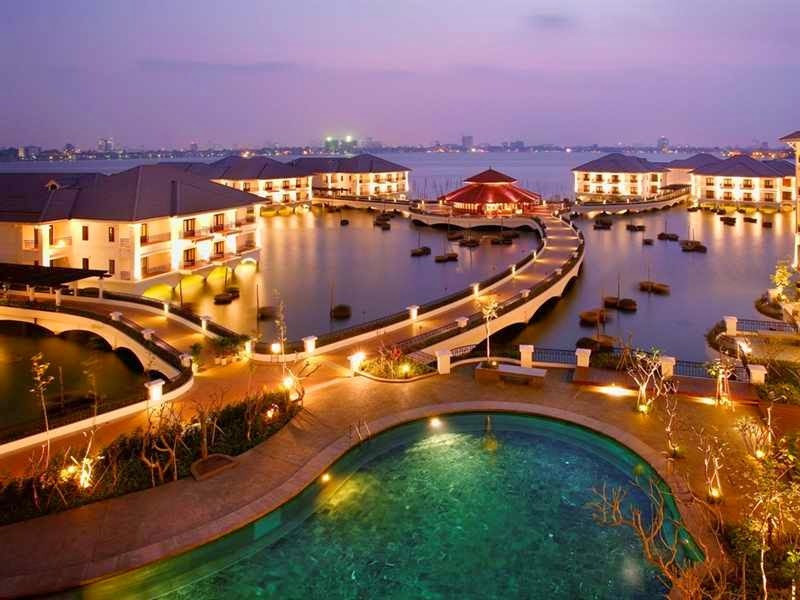 The InterContinental Westlake is the only floating property in Vietnam. The majority of it, including hotel lobby, restaurants, bars and rooms is on the water of the Westlake. To get to one end of the hotel to the other, you may want to take an in-house electric car. The InterContinental Hanoi Westlake deserves to be one of the most unique and luxury hotels in Hanoi. 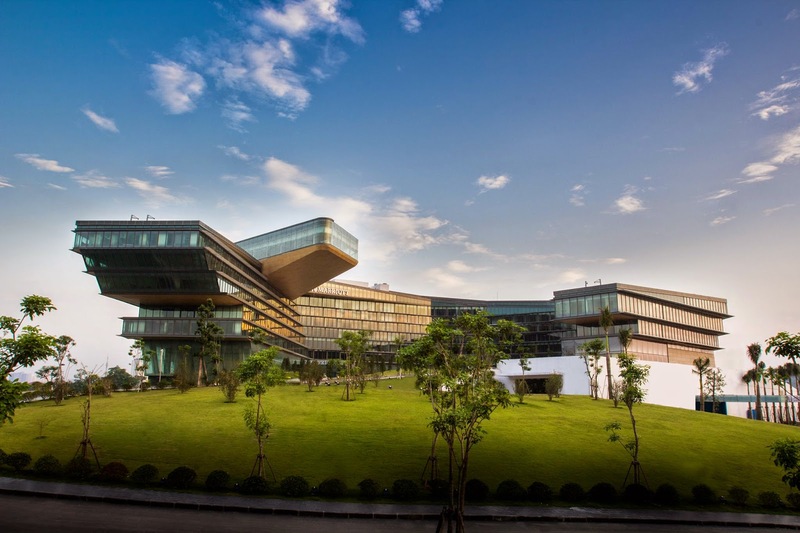 Despite only opened in late 2013, the JW Marriott Hanoi has won several prestigious awards and is regarded as one of the finest hotels in Vietnam as well as is Southeast Asia. Unlike most 4 and 5-star hotels in Hanoi, JW Marriott is located in the future administrative center of the city. Its 450 rooms and suites are equipped with the latest technology and amenities so the most fastidious guests still feel satisfying. 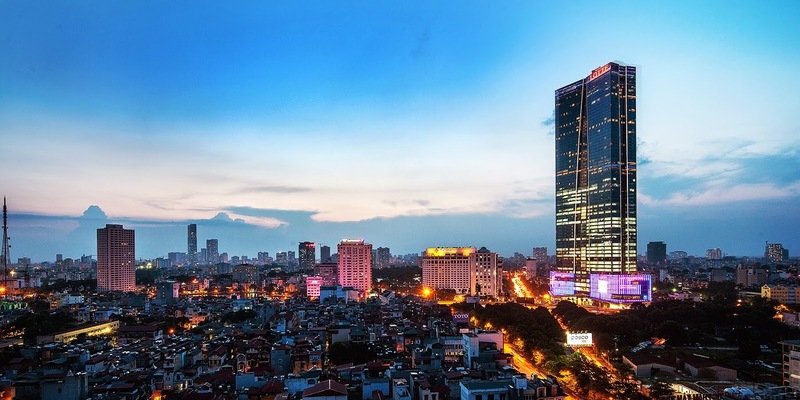 The newest member of luxury hotels in Hanoi, Lotte Hotel is also the tallest property in Vietnam. It is situated in the upper part of the country’s second tallest skyscraper. It doesn’t just offer everything you would expect from a five-star, Lotte Hotel also provides an absolutely stunning views of the whole city from up high. This is something you cannot find in any other luxury hotels in Hanoi.